We had these traditional Ugandan costumes made by local seamstresses while volunteering there for the Quicken Trust in Kabubbu in Uganda. They did enjoy making these small outfits as they had never seen anything like them. This is the traditional ceremonial dress for the Rwandese women of Uganda. 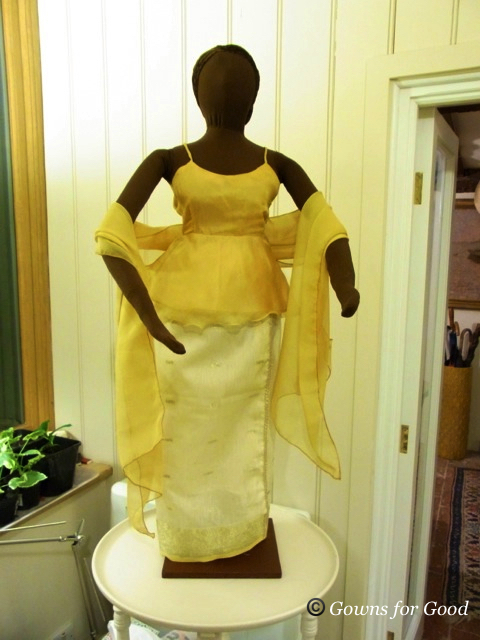 It consists of a wrapped skirt, a bodice and a sash draped over one shoulder. The fabrics used are light to create a flowing effect. Because of its fragility, it is worn on formal occasions like church services , wedding or funerals. This is worn by the women from the western part of Uganda (Ankole region), including the Bahima and Batooro. 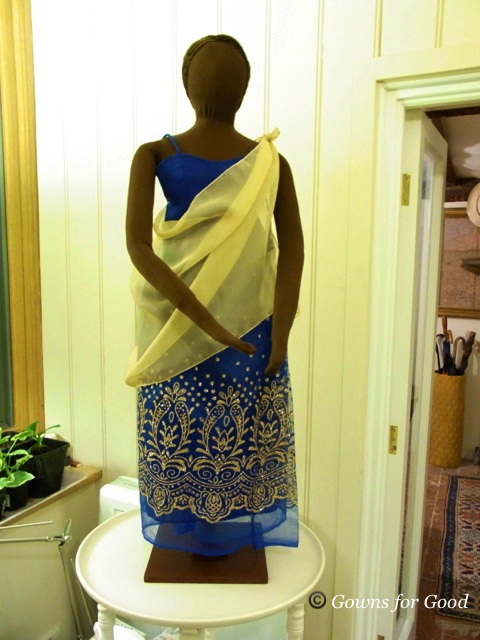 The Suuti consist of the Ekitambi ( a floor length wrapped skirt), the Eshuka (the sash) and the Omwenda ( a short dress). The Bahima and Banyankole wrap the sash below the shoulders while the Batooro wear it on the shoulders next to the neck.